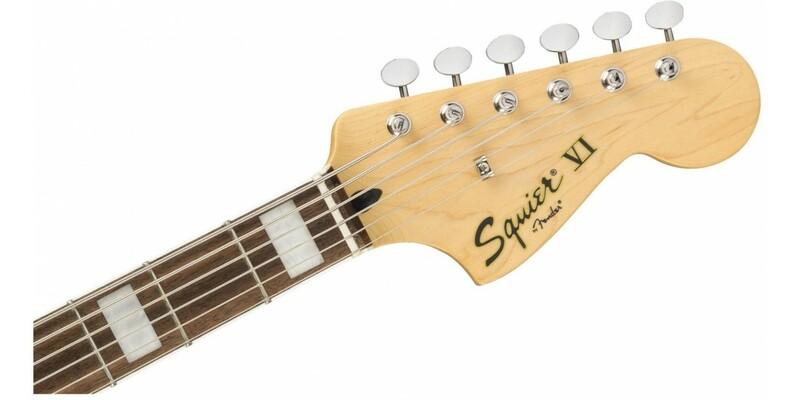 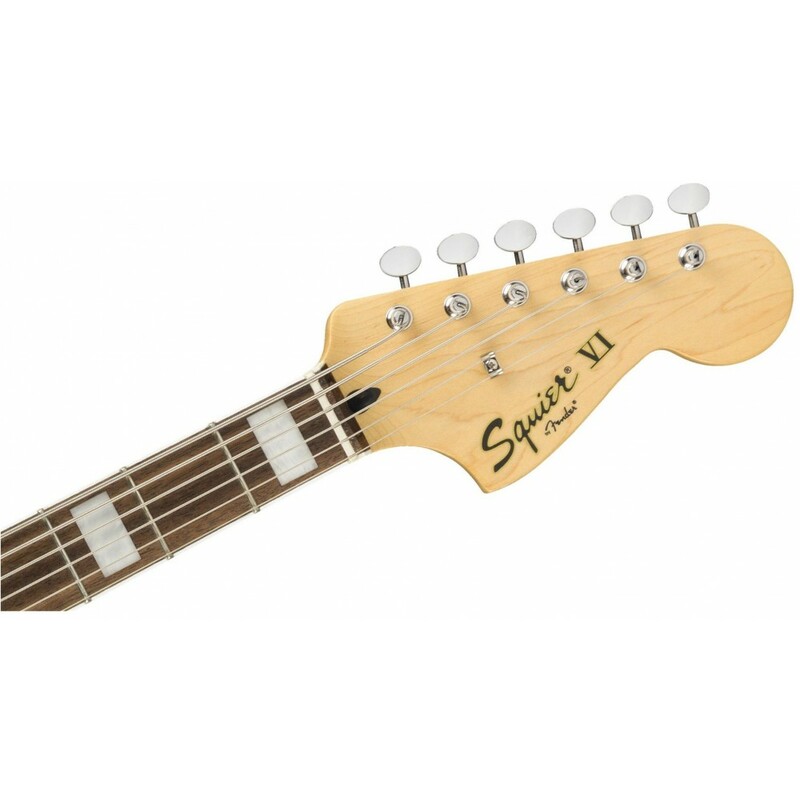 Squier brings you the welcome return of a long-vanished Fender classic in the deeply satisfying form of the Vintage Modified Bass VI six-string bass. 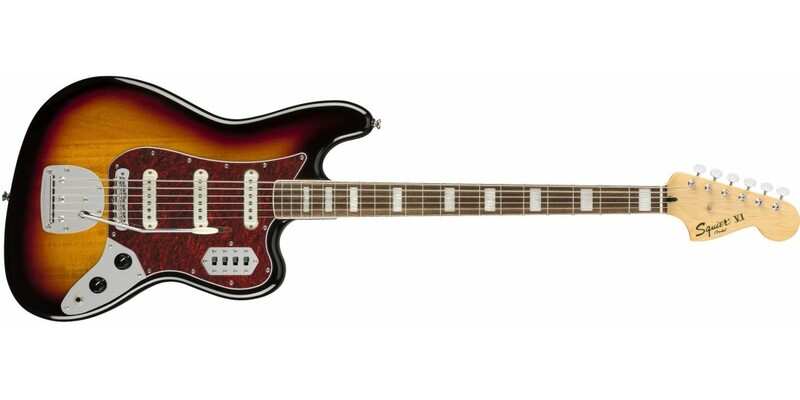 The original model of 1961-1975 has provided distinctively voiced low end for everyone from the Beatles to the Black Keys, Cream to the Cure, and many others. 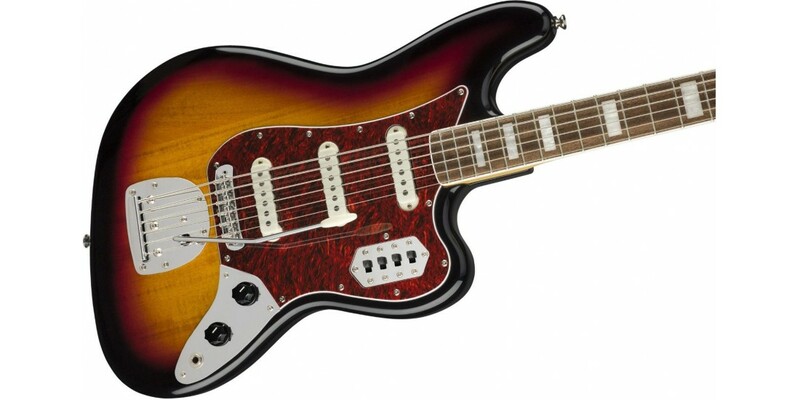 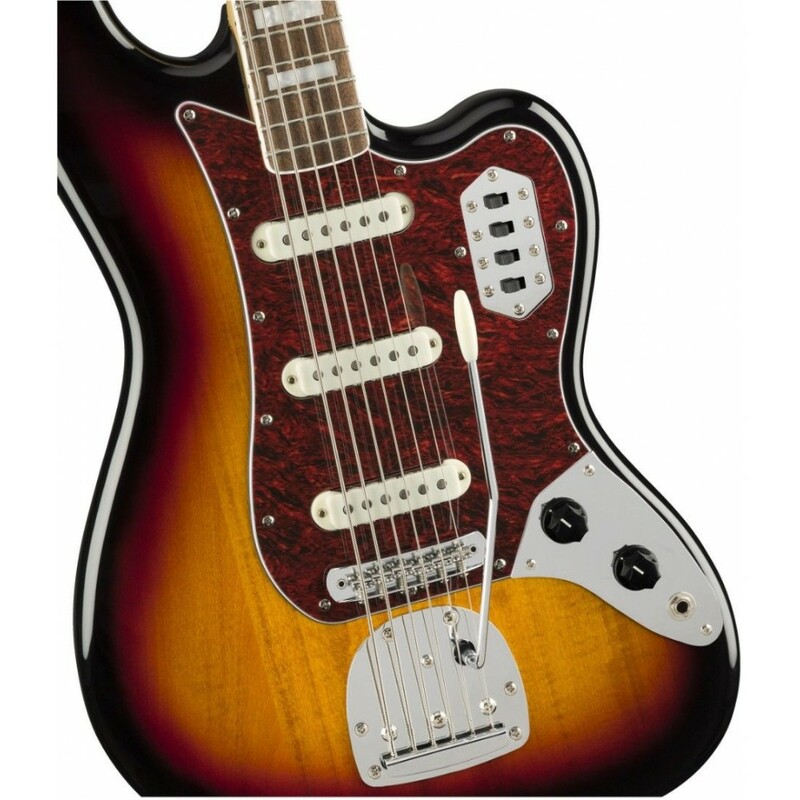 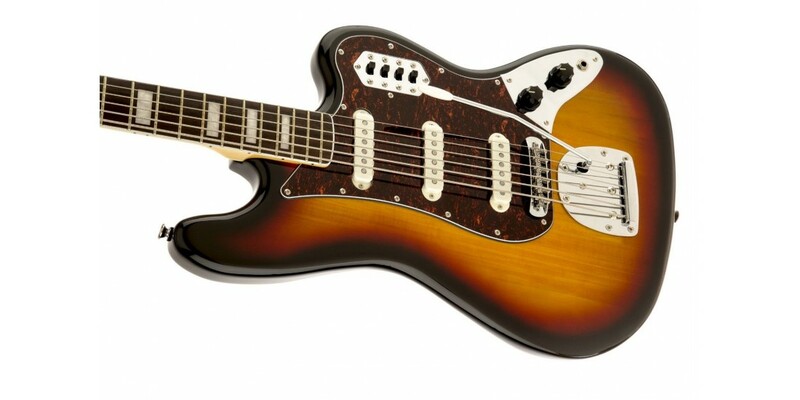 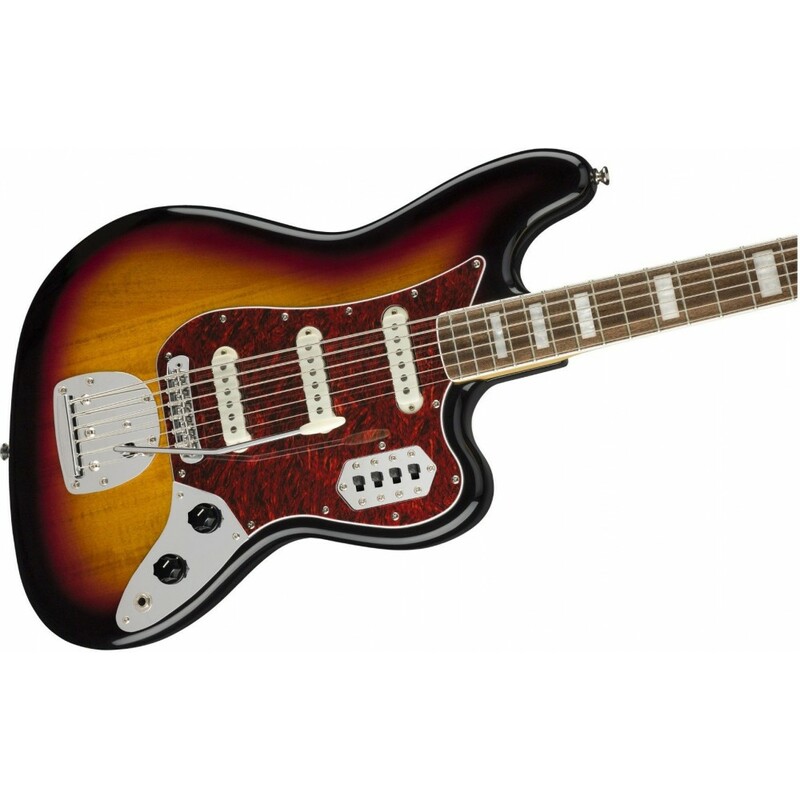 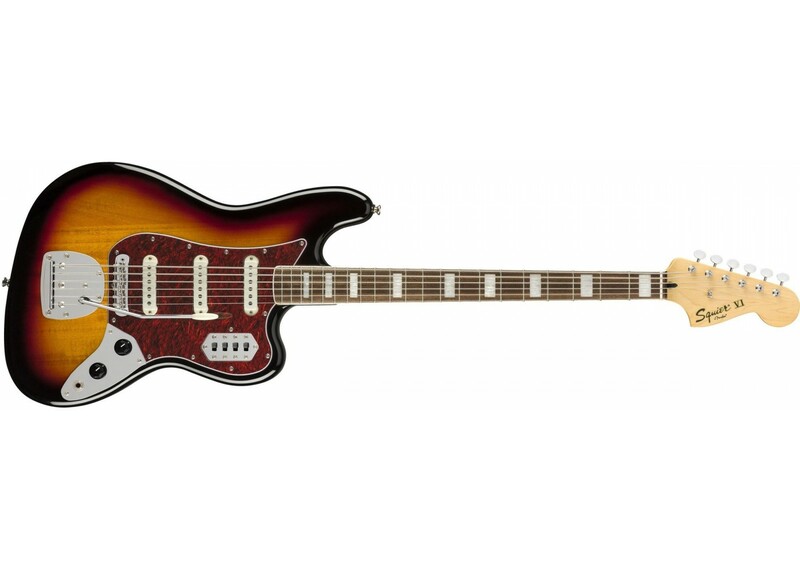 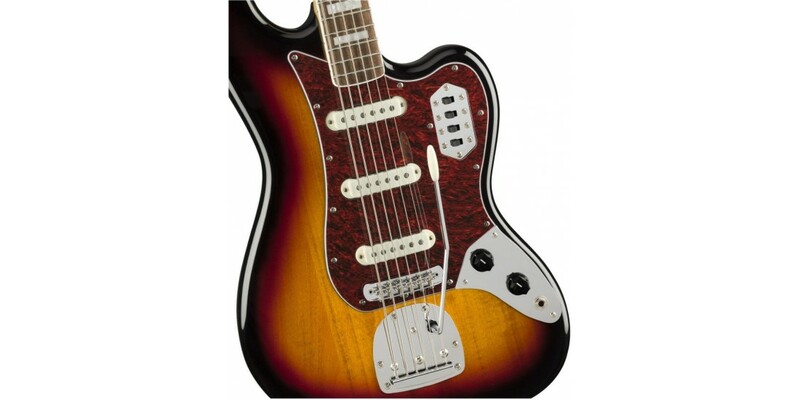 The Vintage Modified Bass VI delivers authentically vintage-style look and tone, with a few modern touches such as a comfortable modern C neck profile and 9.5 inches fingerboard radius (the originals were 7.25 inches), and three custom Jaguar single-coil pickups with notched claw shielding rings (reverse-wound/reverse-polarity middle pickup). 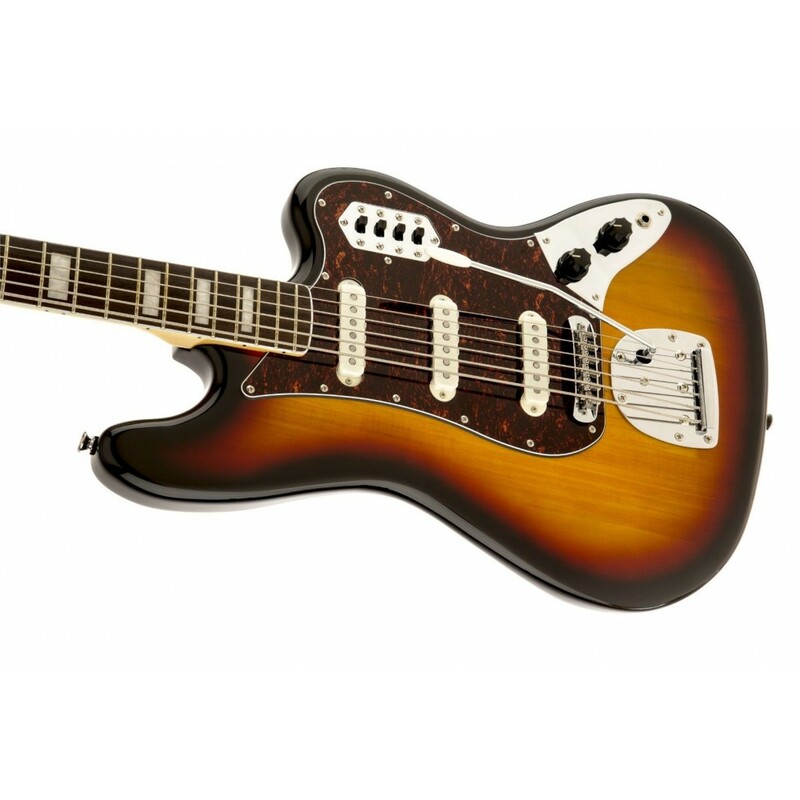 Other features include the model’s classic 30 inches scale (standard tuning one octave lower than a guitar), maple neck, bound Indian laurel fingerboard with 21 medium jumbo frets and pearloid block inlays, four two-position slider switches (on/off switch for each pickup and one bass-cut strangle tone circuit switch), tortoiseshell pickguard (three-ply white-black-white on Black model), two black plastic control knobs (master volume, master tone), and vintage-style six-saddle bridge with non-locking floating vibrato. 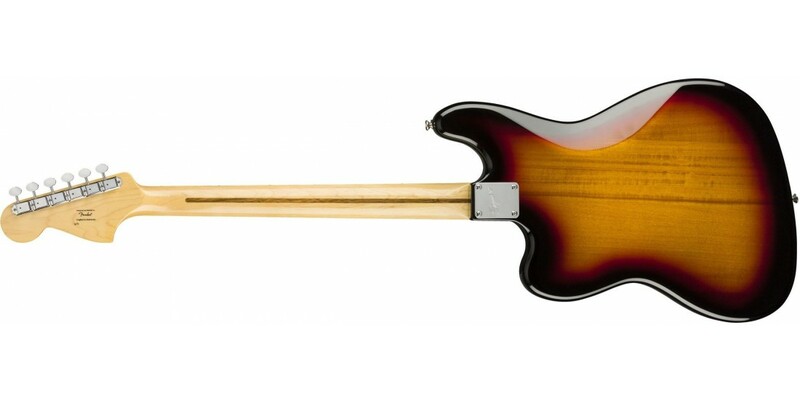 Available in Black, Olympic White and Three-color Sunburst. 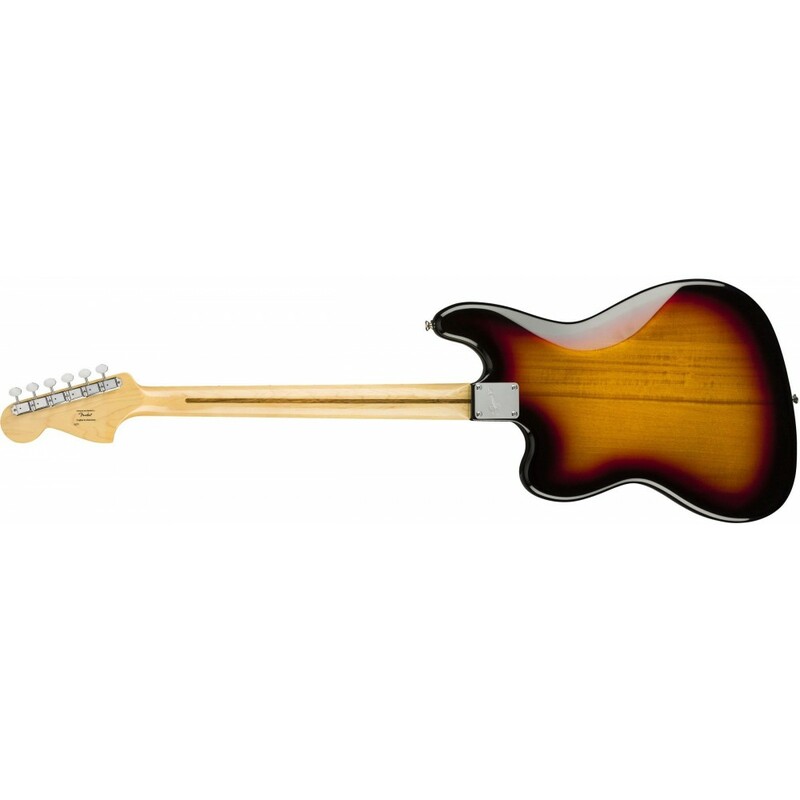 Fender Rumble 15 V3 Bass Guitar Amplifier..
Fender Rumble 25 V3 Bass Guitar Amplifier..
Fender Rumble 100 V3 Bass Guitar Amplifier..
Fender Rumble 200 V3 Bass Guitar Amplifier..
Fender Rumble Digital Studio 40 Bass Guitar Amplif..